Residential pool and spa inspections are the primary focus of Clear Viz Pool. Pool and spa inspections are usually performed when a home is being listed for sale or has entered escrow. Just as a home inspection informs a home buyer about the condition of house, a pool and spa inspection informs the home buyer about the current condition of the pool and spa, as well as the associated equipment and systems. Inspecting swimming pools and spas requires specialized skills, and at Clear Viz Pool we have the highly trained and experienced staff necessary to provide the most comprehensive inspection. Clear Viz Pool strives to provide you with the best possible pool inspection process. With over 40 years of experience in the swimming pool and spa industry, Keith Reuter, of Clear Viz Pool, is uniquely qualified to perform the inspection, as well as any recommended repairs identified during the inspection process. Clear Viz Pool offers the most thorough and complete swimming pool inspection offered in the Napa Valley. A detailed Inspection Report, complete with photographs, will be delivered to our client via email the next business day. Keith Reuter’s goal is to answer every potential buyer’s question: “What do I need to know about this pool or spa before I purchase this property?” Our comprehensive report will provide the necessary information for each buyer to make wise decisions prior to making their new home purchase. 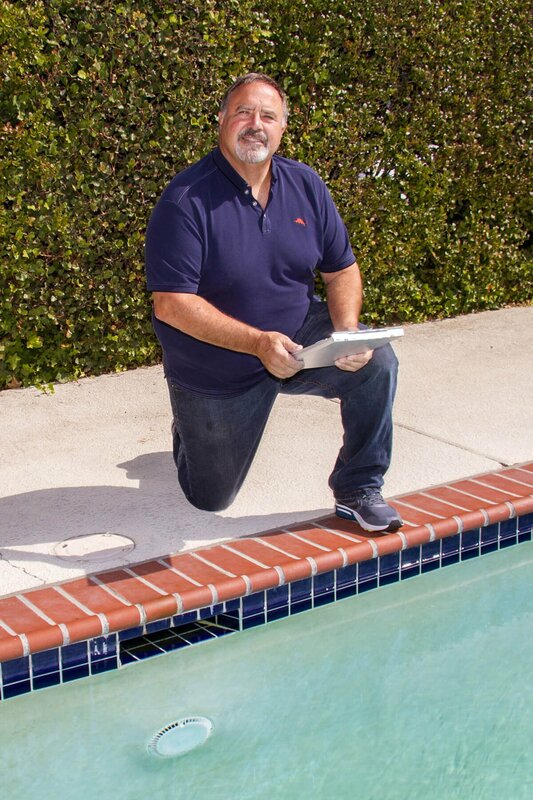 Learn more about Keith Reuter and book your pool inspection appointment with the ease using your computer, smart phone or by calling us at (707) 776-6589 | (707) 7POOLVZ. Residential pool and spa inspections are the primary focus of Clear Viz Pool. Just as a home inspection informs a home buyer about the condition of house, a pool and spa inspection informs the home buyer about the current condition of the pool, spa, and associated systems.